I picked up this sweater after coming back from a work trip and passing the H&M in Union Station for the 2349175th time. It was an impulse purchase (shocking, I know) but it has paid for itself many times over. 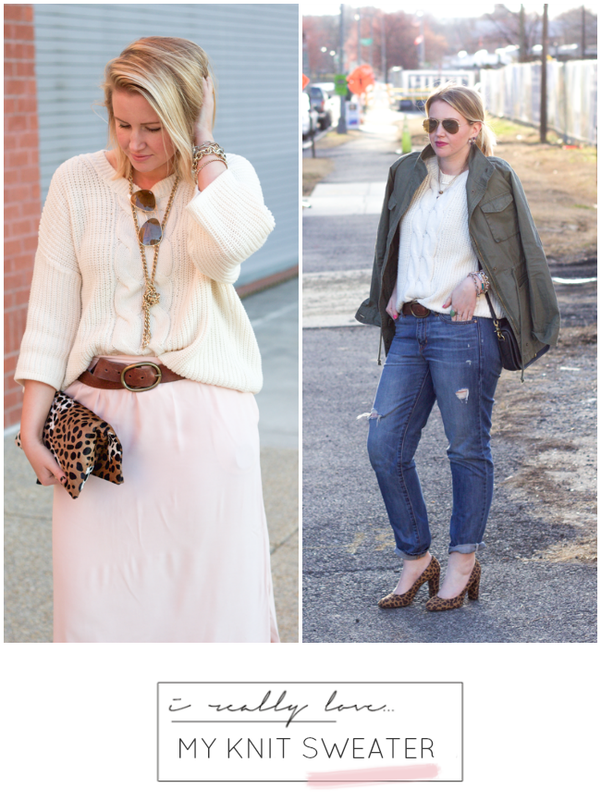 I wrote about three ways to wear it here and have worn it three other ways in the last month. In addition to the two ways shown above, I also wore it at the office belted over this dress with these heels. Suffice to say, It’s a major closet utility player. While it’s sold out online in cream, they do have it in light greyand dark blue melange. Do you have a cream knit sweater you love to rock?